Like most floor covering products hardwood flooring has changed dramatically over the past few years and we carry all the latest hardwood styles in our showroom. We have a wide selection of hardwood flooring for you to choose from and we offer expert installation. From 3/4" solid oak, maple, and other hardwood species, to the prefinished engineered or longstrip flooring, we can help you choose the right hardwood floor for your decor, and lifestyle. In the Louisville KY area? Stop in and see why Carpet Values is your hardwood flooring store! With a little basic understanding about the different types of wood floors you can be better prepared and more confident in your selection. 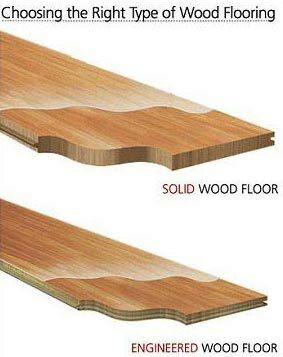 Solid wood floors are one solid piece of wood and are generally 3/4" thick. Mohawk Solid Hardwood Floors are produced from the finest American and Canadian hardwoods including red and white oak, ask, American cherry, hickory and maple, and are available in several widths. Because solid hardwood floors are more susceptible to moisture than engineered wood floors they should only be installed above grade over approved wooden subfloors and must be nailed down. Solid wood floors can generally be recoated and refinished several times. These floors are produced by laminating several hardwood plies together to form the planks. Most engineered floors can be glued down, stapled down or floated over a variety of subfloors including wood, dry concrete slabs and some types of existing flooring. Engineered hardwood floors have cross-ply construction which reduces the expansion/contraction of planks caused by variations in humidity and allows these floors to be installed anywhere in the home. Mohawk Engineered Hardwood Floors come in a wide variety of widths, thicknesses and colors in both North American and Exotic hardwoods. Today wood flooring is also offered in a variety of hardwood species that are not found in North America. Mohawk Engineered Hardwood Flooring Collections include some of the finest exotic hardwoods from all over the world. These floors offer many unique and visually striking appearances that are distinctly different from the North American hardwoods. Unfinished floors require several days to install, stain and finish the flooring. Prefinished floors are less messy and can be installed and completed the same day. A factory-applied finish like Mohawk's exclusive Crystalshield finish with aluminum oxide is extremely durable and could not be duplicated with a job-site finish. Knowing where the floor will be installed is essential. 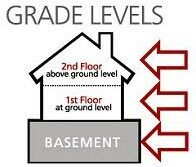 Before choosing a floor, determine if the room is above, on or below ground level. Mohawk Engineered Hardwood Floors can be used in most areas in the home including rooms below, on or above ground level. Solid wood floors are recommended for above-ground level installations and must be nailed down to a wood subfloor. These floors perform better in humidity-controlled environments. Is your subfloor concrete or a type of wood substrate? Engineered floors are ideal for concrete slabs. For remodel projects you may want to consider Mohawk Engineered Hardwood Floors that can be floated directly over the existing floor which eliminates the mess and additional costs of tearing out the old floor.